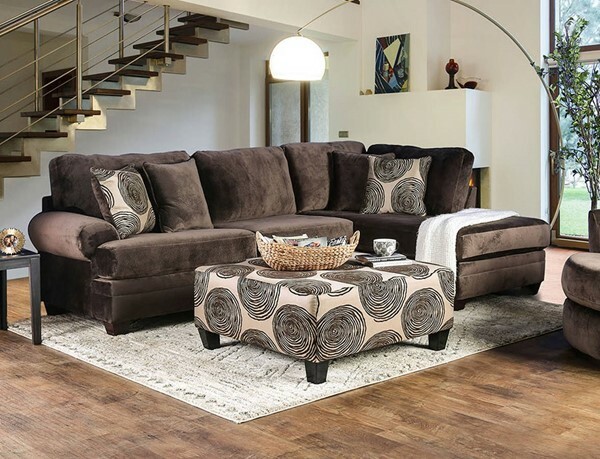 This large sectional sofa tells guests that you know how to balance form and comfort. The soothing microfiber upholstering is velvet soft; the chocolaty color is calming, and the included throw pillows add a chic patterned flair to the ensemble. Give your friends and family a soothing place together around and loosen up.